Vulcano is a crystalline black marble. From its dark background sprouts a generous alternation of white and golden filaments and nodes. This black marble promotes beauty by awakening the senses with its bold chromatic contrasts. A unique homage to the Roman god who gives it its name: Vulcan was the god of fire who married Venus, the goddess of love. 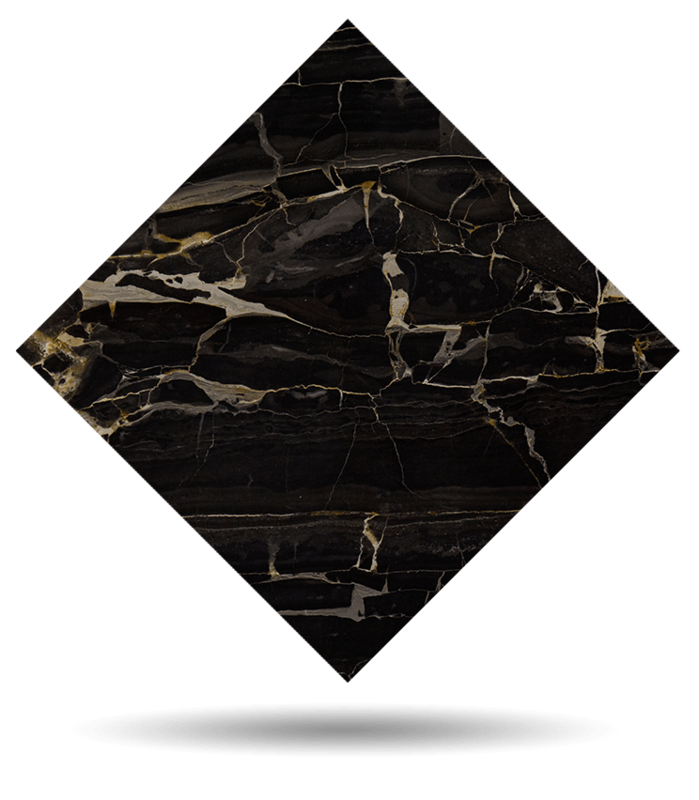 It is precisely because of the highlighting of its golden veins in contrast to the black background that architects and interior designers choose the Volcano marble for their most prestigious residential and hotel projects. Black marble Vulcano is able to provide character to exclusive interior designs, bathrooms, kitchens, worktops, and showers. TINO Collection standard surface finishes are: Polished, Honed, Domus and Sandblasted. TINO offers black marble Vulcano in any formats and finishes desired by the customer. Check maximum size per finish. For other finishes, please check availability and sizes.